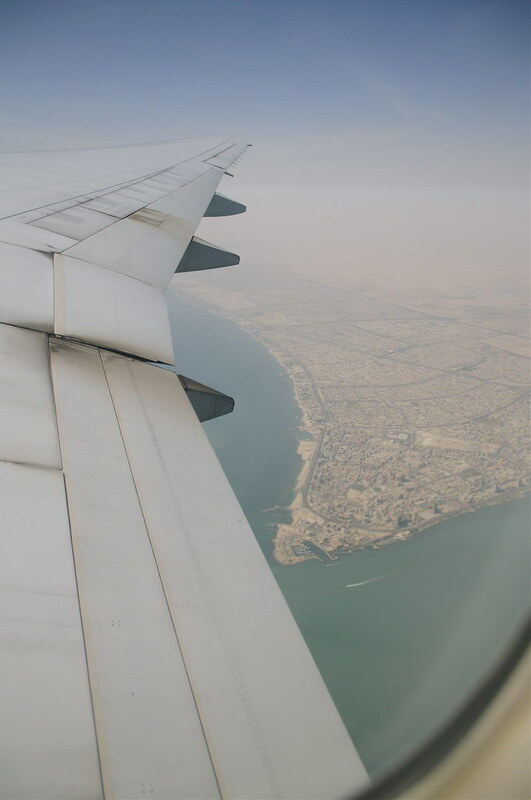 This post summarises my journey - looking out of my window seat. 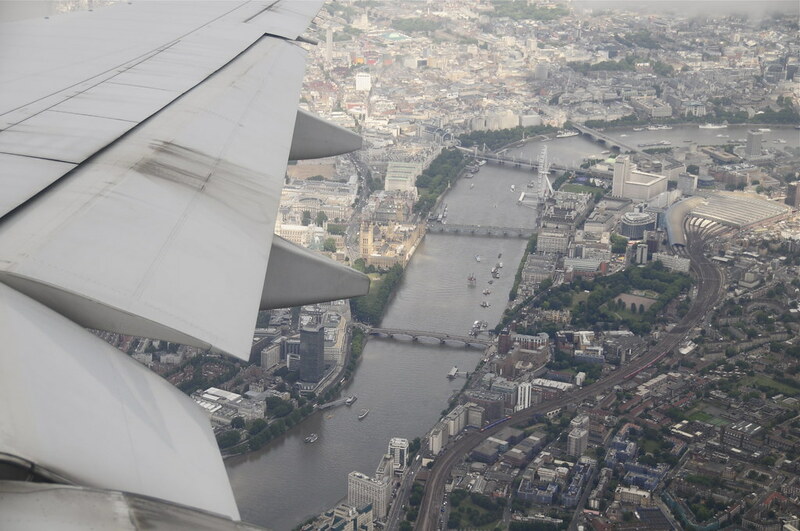 My favourite shot is the one above of the Thames and Houses of Parliament. Have a look at the larger version for more detail. The captain was on my side. 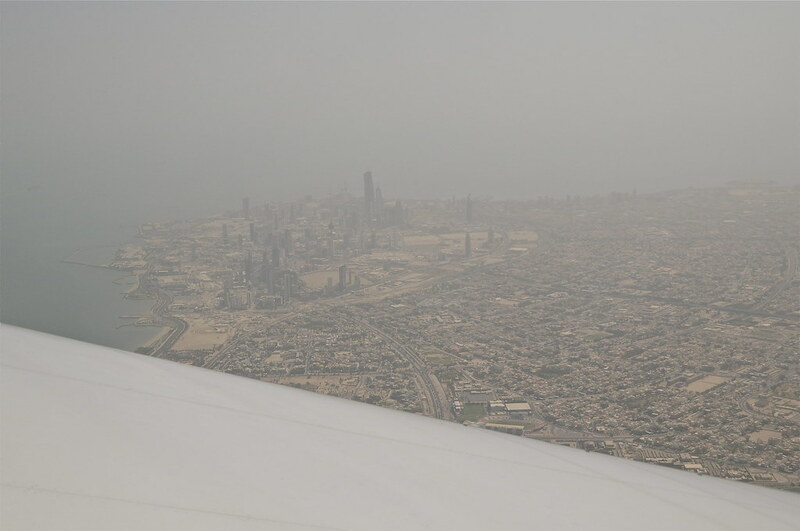 He showed me Kuwait as we left; and great views of London as we arrived. The next two are Kuwait City and Salmiya. The clear skies changed as we flew into Europe. More and more clouds were gathering. It was a great sight after the recent dust storms. Then London appeared in the breaks. The area around the Thames in the first; the second is a more familiar side of town with Hyde Park in the middle. 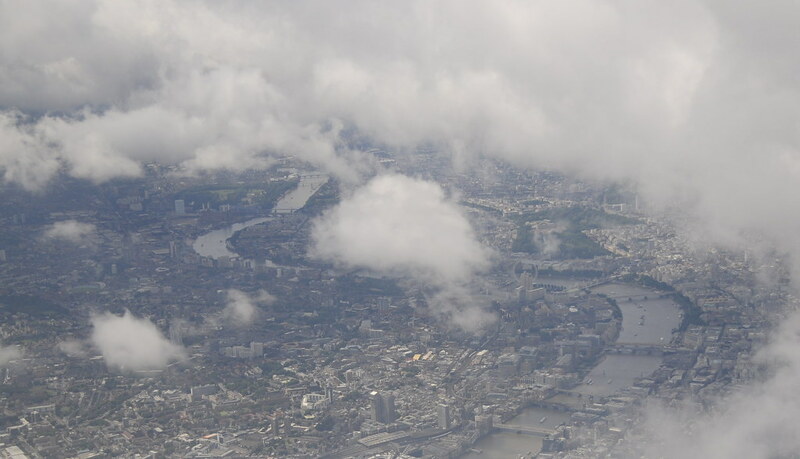 Last but not least: the final approach is over West London. Our house is visible - just behind Gunnersbury Park in the distance. 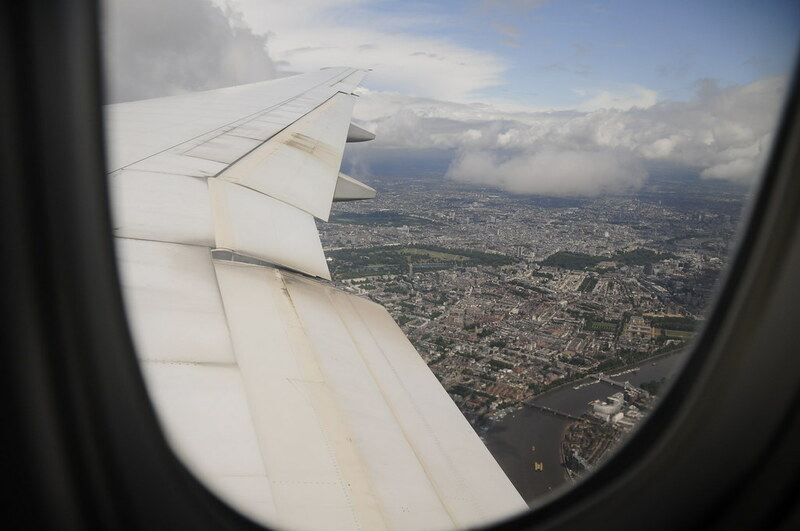 Near side, and just under the wing, is Kew Gardens. Loved each and every picture! About that KAC fleet shot. IT IS rare..esp with jazeera being around all time. Plz share in KS. I'm sure others would appreciate such shots as much as i did/always do. and Enjoy your vacation, I bet you really reeeeaaaaally need it! "focussed on the tast at hand"
Some very nice shots, and I think London is filled with Kuwaitis right now! Thats why I prefer going during winter, and I like the cold! Thank you C2B... I will of course post them on KS. There is no excuse for spelling errors! Fixed.